Class 1(1) license allows banks to accept any retail deposits. Class 1(2) license allows banks to accept non-retail deposits, thus providing services to a very limited class of individuals and corporations. Class 1(3) license is designated for representative offices of foreign banks, which cannot accept deposits in the Isle of Man. Conister Bank Limited is the only one of the banks in the Isle of Man with domestic capital; the rest are foreign-controlled (branches and subsidiaries of foreign banks), with the largest number of banks coming from the United Kingdom. According to Moody’s, the banking system in the Isle of Man was negative in 2016, following the result of the referendum vote favoring the UK’s exit from the European Union (EU), and the recent change in the outlook on the UK’s Aa1 government rating from stable to negative. 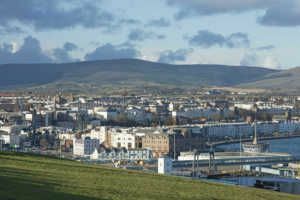 For anyone considering a career in banking in the Isle of Man, this list of the top banks in the Isle of Man is a helpful guide on where to start. To learn more, see our lists of financial institutionsCompaniesLists of the main players in corporate finance. We've got lists of the most important financial services companies, banks, institutions, accounting firms, and corporations in the industry. Browse these guides to prepare for a career in financial services and start networking today to accelerate your career. Founded in 1935, Conister Bank is headquartered in Douglas. The bank provides savings, lending, and asset finance products to personal and business customers. It participates in a deposit guarantee scheme in the Isle of Man, which involves accounts up to £50,000 per bank per depositor. In 2016, the bank’s total assets amounted to US$152 million and net profit reached US$1.68 million. One of the oldest banks in the Isle of Man, the Isle of Man Bank Limited was formed 1865 and is based in Douglas. The bank offers current and savings accounts, credit cards, financial planning, personal loans, mortgages, limited offer savings accounts, online banking, and online shares dealing services. In 2016, the bank reported total assets of US$1.9 billion and a net profit of US$10 million. Established in 1987, Nedbank Private Wealth Limited is a subsidiary of Nedbank Group Limited. The bank provides professional, personal, and exclusive wealth management services to families and high-net-worth individuals. Formerly known as Fairbairn Private Bank Limited, the company changed its name to Nedbank Private Wealth Limited in October 2012. Founded in 1992, Standard Bank Isle of Man Limited is based in Douglas. The bank offers personal, corporate, and business banking services, and facilities such as transactional and savings accounts, debit card facilities, and structured investment accounts. Standard Bank Isle of Man Limited operates as a subsidiary of Standard Bank Group Limited, Africa’s premier banking and financial services institution. The Cayman National Group started its operations as one of the banks in the Isle of Man in 1985 and is based out of Douglas. Cayman National Bank and Trust Company (Isle of Man) Limited is licensed by the Isle of Man Financial Services Authority. The bank provides a wide range of financial services for private and corporate clients. In 2016, the bank reported total assets of US$1.37 billion and a net profit of US$10.8 million. The Royal Bank of Scotland International Limited (RBS International) is the offshore banking entity of the RBS Group. It operates as a sister company called Isle of Man Bank (a wholly owned subsidiary of The Royal Bank of Scotland International (Holdings) Limited). The bank provides a complete range of general and specialist corporate banking and treasury and investor solutions. It was founded in 1996 and employs more than 1,500 staff. RBS International is licensed by the Financial Supervision Authority of the Isle of Man and is based in Douglas. Founded in 1990, the Isle of Man branch of Santander UK PLC is one of the bank’s largest deposit takers. In 2017, the Isle of Man branch, located in Douglas, started offering products and services under its trading name of Santander International. Santander UK is part of the Santander Group and is a major financial services provider in the UK. Barclays provides wealth and investment products and services to its clients through Barclays Bank PLC and its subsidiary companies. Barclays Bank PLC, Isle of Man Branch is licensed by the Isle of Man Financial Services Authority. Based in Douglas, Barclays Bank PLC operates as a branch of Barclay Bank (United Kingdom). In 2016, the group’s assets amounted to US$1,566 billion and net profit reached US$5.2 billion. Lloyds Bank International is incorporated and domiciled in Jersey and operates branches in Guernsey and the Isle of Man. The bank provides a wide range of financial services products, including current and savings accounts, personal loans, and mortgages within the retail market, loans and deposit products to commercial customers, and private banking and asset management. Lloyds Bank International Limited operates as a branch of Lloyds Bank International (Jersey). Lloyds TSB Offshore was formed in Jersey in 2004, with branches in Guernsey and the Isle of Man. In 2015, Lloyds Bank International employed over 1,000 people in the Channel Islands and the Isle of Man.